May | 2017 | It's All About Code! RAD Studio no TDC São Paulo! Este ano a Embarcadero terá uma trilha Delphi e C++ Builder no TDC São Paulo, e nós estamos muito entusiasmados em poder mostrar todo o poder do RAD para Windows, Android, iOS, macOS e Linux! Desde já convidamos toda a comunidade a se inscrever e participar conosco no evento. A Embarcadero terá também um box onde estaremos apresentando cases de sucesso em aplicações mobile e multicamadas ao vivo! O Delphi Tour acabou, mas as novidades da Embarcadero não! Estamos publicando também, no mesmo repositório, todos os exemplos das edições anteriores, iniciando pelo XE4. Fiquem a vontade para explorar! E para encerrar, mas não menos importante, teremos uma edição online do Delphi Tour (detalhes em breve), com tudo o que foi apresentado na edição presencial! Uma vez mais, agradecemos a todos pela excelente público em todas as paradas, é realmente um privilégio poder falar com cada um de vocês. During the second week of Delphi Tour I passed by Porto Alegre, Florianópolis, Chapecó and São Paulo. Great public in all stops, and some important achievements. In the south of the country we have an active and vibrant community, and talking with the developers, we found some wonderful cases that we are going to publish as success cases in the upcoming months. But the most surprising thing in my opinion are the universities we are adding to the academic program. In each city we heard about projects and researches done with RAD in schools and universities, and this model is something that we really want to replicate in the entire Latin America. 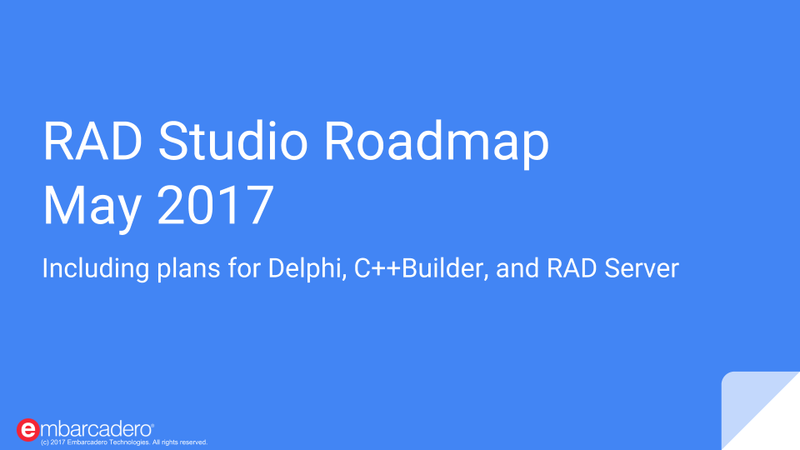 This will not only educate new Delphi and C++ Builder developers, but also drive the innovation using our tools! Special mention here to Unoesc, an university in Chapecó, and Guinter Pauli, Embarcadero MVP and teacher there. This is a place where the integration between the school and the companies established in the region really works. As usual, let’s finish this report with some pictures from the stops, but also with a big “thank you” to everyone that in some manner made this happen! This week I was in Recife and Fortaleza, not for the beautiful beaches and sightseeing, but for the Delphi Tour! Great audience as usual, and a lot of interest in our new compiler for Linux. People are really considering moving their servers (in special DataSnap) to this platform, in order to save some money with hosting, and improve the general performance as a plus. Here are some pictures from the city as well from the venue. Next week I’ll be in Porto Alegre, Florianópolis, Chapeço and São Paulo! Hope I can meet some of you in person in one of these stops! I’ll try to report in daily bases starting from next Tuesday, so stay tuned!